The spa and beauty industry is growing so fast that 30,000 jobs are going unfilled. A “Get Your Dream Job” campaign is aiming to change that. Lynnelle Lynch is president of Beauty Changes Lives, a foundation committed to “elevating the perception of careers in beauty and wellness and make it a first choice,” she said. The foundation provides scholarships from $1,000 to $15,000, and spas and salons across the country are helping to get out the message. 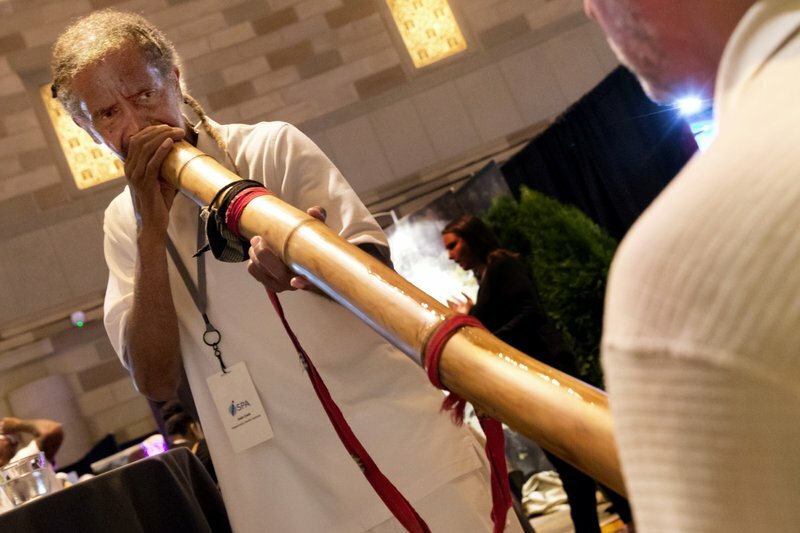 [post_ads]The campaign was a focus of the annual International Spa Association show held Tuesday in New York to showcase trends, treatments and new spas. 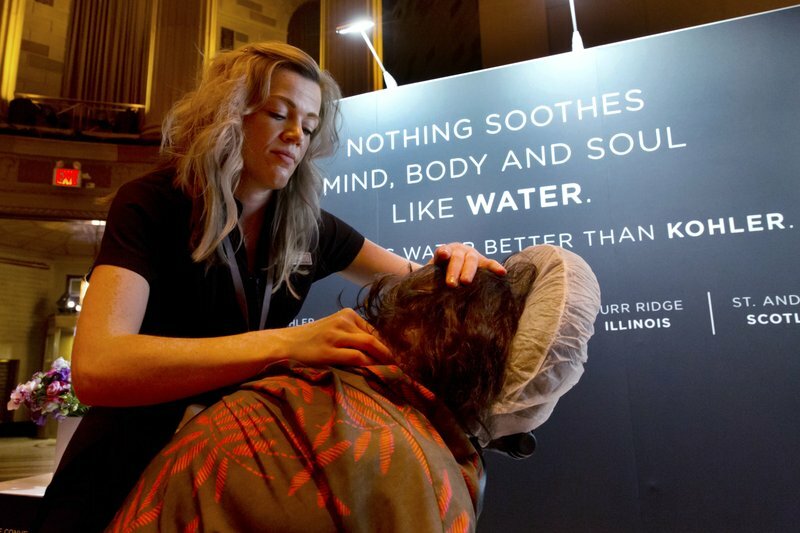 Spas are now a $17.5 billion industry in the United States, up 4 percent in a year, according to iSPA statistics, with 187 million visits to spas in nearly 22,000 locations, and more than 370,000 employees, about half of them full-time. “We’re opening our fifth Kohler Water Spa in Chicago next year as a result of how hot the industry is right now,” said Garrett Mersberger, director of wellness and Kohler Water Spas at Kohler, a Wisconsin-based company. Mersberger is also chairman of the iSPA board, and noted that the industry’s record-breaking boom includes “spa visits at an all-time high,” along with record average revenue of nearly $94 per customer visit. Lynch emphasized that the industry welcomes workers in every stage of life, from students just out of high school to older workers looking for new opportunities, to those returning to the workforce after raising kids — along with military spouses looking for skills they can take with them if they move. But Lynch feels the industry does not always get the respect it deserves. She even encourages parents to get kids considering careers in the industry if college isn’t the right fit. “If they’re creative, if they love wellness, if they love beauty, why not allow them to take an alternative path?” she said. “The skills are portable. 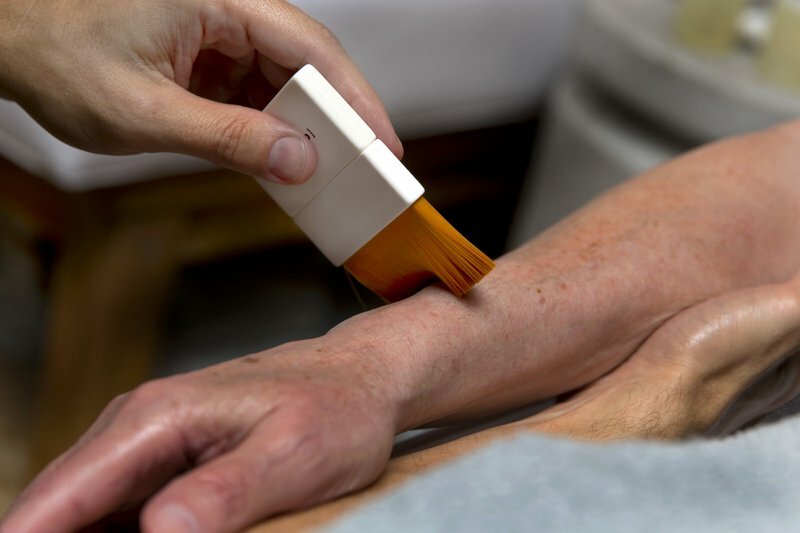 And it’s short term — five months to a year — to get this training.” Jobs include aestheticians who provide facial skin care and body treatments, and cosmetologists who do hair styling, makeup and nails. Lynch pointed out that celebrities often owe their looks to “people behind the scenes,” and that beauty school is a good steppingstone for entrepreneurial-minded professionals to launch products or open salons. As an example of a behind-the-scenes profession that’s booming, an eyelash artist from Borboleta, the largest educator of lash artists in the world, was at the spa show to demonstrate the application of lash extensions. Borboleta trains nearly 3,000 lash artists annually in beauty schools across North America and Brazil. 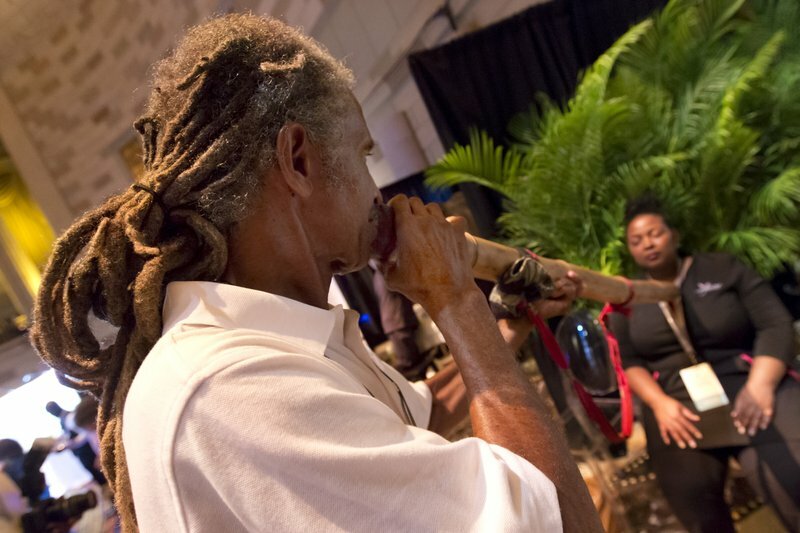 —Hippocrates Health Institute, West Palm Beach, Florida, demonstrating “vibrational sound therapy” with the resonating sounds of a didgeridoo, the long wooden Australian aboriginal wind instrument, blown on the skin. —Yo1 Luxury Nature Cure, a new $300 million property with 136 guest rooms that opened in June on the grounds of the defunct Kutsher’s Resort in Monticello, New York, in the Catskills. Programs and services include yoga and aryuvedic massage. 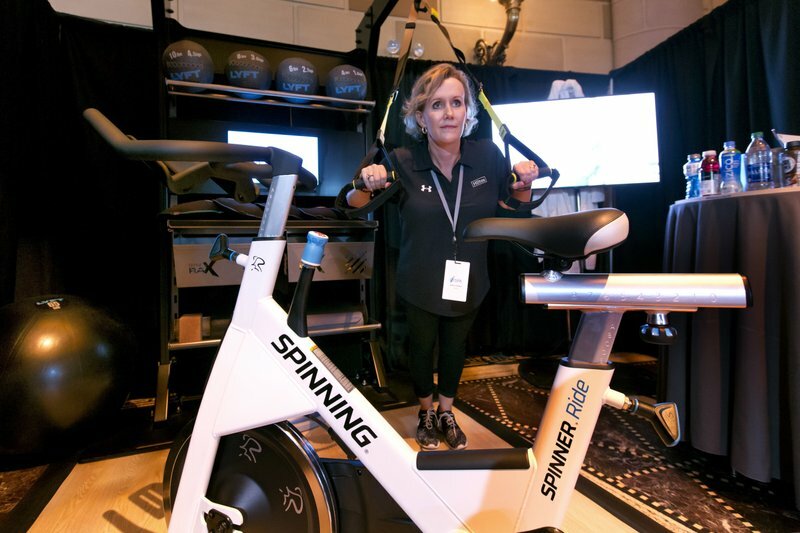 —Hilton Hotels, launching a “5 feet to fitness” program with fitness equipment installed in standard king rooms. So far the program is in 12 hotels in San Francisco, Dallas, Atlanta and Chicago, among other cities, with more in the pipeline. 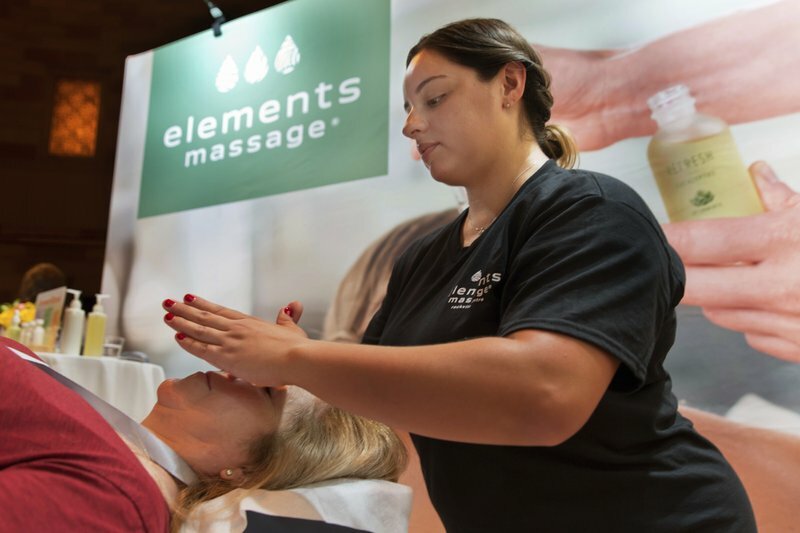 —Elements Massage, with 250 franchise locations, offering a new aroma ritual treatment that combines aromatherapy, essential oils and a light-touch massage. —Aspira the Spa in Elkhart Lake, Wisconsin, showcasing organic food from its gardens. Aspira champions healthy eating as a foundation of wellness and grows 5 to 6 tons of food annually. 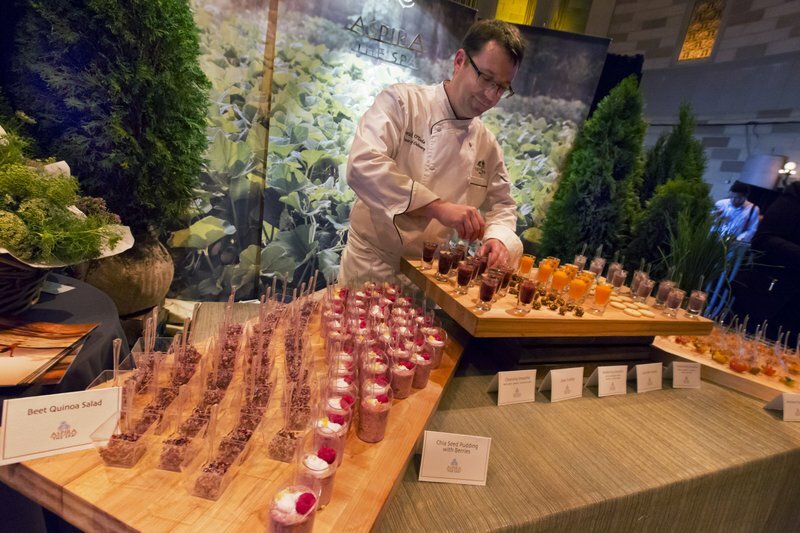 A tasting menu at the spa show included chia seed pudding, lavender cookies, heirloom tomato salad and beet quinoa. —Glen Ivy Hot Springs, Corona, California, demonstrating a “tranquility pro sleep ritual” to “rebalance the senses.” For sound, participants listen to music through headphones with bass notes that mirror the resting heartbeat. For scent, there’s an oil and spray that smells like sweet orange and damask rose. And for a relaxing touch, a special brush is applied to the skin.